This survey has now closed. Thanks to all BSBI vice-county recorders who completed the survey. I have recently started a PhD at the University of Reading titled ‘Garden plants: a threat to the natural environment due to climate change?’ This NERC SCENARIO project is supervised by Dr Alastair Culham and Dr Brian Pickles at the University and by Dr Eleanor Webster at the Royal Horticultural Society (RHS). I will investigate the possible impacts of climate change on the distribution of garden plants, and their interaction with our native flora. I am particularly interested in garden plants which are showing early signs of naturalising or having invasive potential in the ‘natural’ environment. 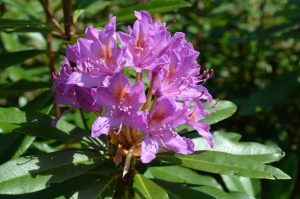 We are often told about the impact of invasive garden plants, such as Rhododendron x superponticum, but which of our garden plants might be problematic in the (not-so-distant) future? The initial element of this project is an online survey. The aim is to gather information on which garden plants are perceived to be a future threat to the natural environment in different parts of Britain and Ireland. Are you a vice-county (VC) recorder for the Botanical Society of Britain and Ireland (BSBI)? If so, you are invited to take part in this survey. The survey can be completed in 15-30 minutes and can be accessed here. You should read the information sheet before starting the survey. If recording duties are shared for your VC, both VC recorders are welcome to complete the survey. Alternatively, if you would prefer to complete a hard-copy version, please email me. The survey has now closed. There are 153 VCs in Britain and Ireland and I will keep updating my return rate here. The data from the survey will inform subsequent elements of the PhD, including bioclimatic niche modelling and a citizen science initiative. This will encourage people to observe patterns of garden plants naturalising ‘beyond the garden fence’. 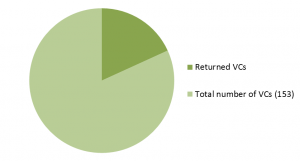 So, if you are not a BSBI VC recorder – don’t worry! There will be an opportunity to engage with this PhD project at a later date. The results from the survey will be made available on this blog page. This entry was posted in PhD research, Public Engagement with Science, RHS research. Bookmark the permalink.